The message of Billy Graham proudly lives on at this historical attraction, which keeps the Gospel and its transforming power as its core experience. More than one million people, including individuals and those in church groups, have visited the Billy Graham Library in Charlotte, North Carolina since it opened in 2007. They have been touched by the message and mission that have never changed. The library acts as a working ministry, spreading the words of Billy Graham the Gospel through historical tours, inspirational photos and videos, and memorable events. Born William Franklin Graham, Jr., Billy Graham grew up on a dairy farm near Charlotte. He was raised in the Presbyterian Church, but was attracted to evangelism at the age of 16 after attending a series of revival meetings. During his time at Wheaton College in Wheaton, Illinois, Graham became a preacher and had many speaking engagements, and soon after began conducting crusades. Since beginning his ministry in 1947, Graham has conducted over 400 crusades in 185 countries on six continents. Today the life and ministry of Billy Graham are documented at the Billy Graham Library. The 40,000-square-foot complex is located on the grounds of the international headquarters of the Billy Graham Evangelistic Association, just a few miles from where Graham grew up. Reflecting Graham’s upbringing, the library is styled after a dairy barn, and his boyhood home has been restored a short walk away. Groups visiting the Billy Graham Library will be able to see the life of this famed pastor through state-of-the-art exhibits, films and galleries of memorabilia. 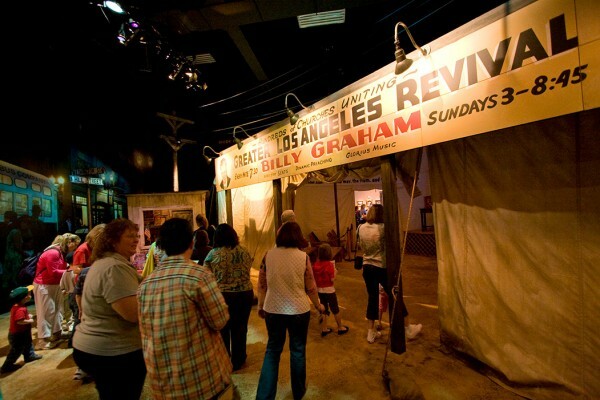 One experience that should not be missed is the “Journey of Faith,” a free, hour-and-a-half tour that includes film presentations and exhibits focusing on key events and developments in Billy Graham’s life. Groups can discover Graham’s inspirational crusades in cities all over the world, his innovative use of radio and television to share the word of God, and his relationships with American presidents. For an even more in-depth look at the life and ministry of Billy Graham, groups can sign up for a “History & Heritage Tour” ($11 per person). In this three-and-a-half-hour guided tour, groups will explore the pivotal moments memorialized at the library, along with special tours of the Graham family home and the Video Media Services department at the headquarters of the ministry. Lunch at the Graham Brothers Dairy Bar is also included. If you plan to schedule a youth group visit to the library, you can enjoy helpful resources, such as downloadable lesson plans to use prior to, during and after the visit. 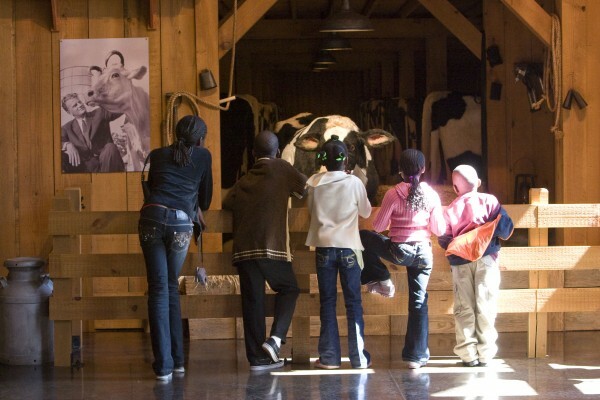 Youth groups will step back in time and experience the history of Billy Graham in a whole new way through film, exhibits and Graham family mementos. The Billy Graham Library is not only a museum, but it’s also a place where groups of all faiths, backgrounds and ages can gather to be inspired by Graham’s message. Many special events are held throughout the year, attracting people from all over the country. A unique event for women, the Ladies Tea and Tour, is now in its ninth year and will be held in April. Women can spend the day enjoying a delightful tea party, with beautiful music, guided “Journey of Faith” tours, and uplifting words from best-selling author, speaker and singer Sheila Walsh. The Billy Graham Library is a testament to the life and work of Billy Graham, and its main goal will be to continue his mission and spreading his message to thousands of visitors every year.